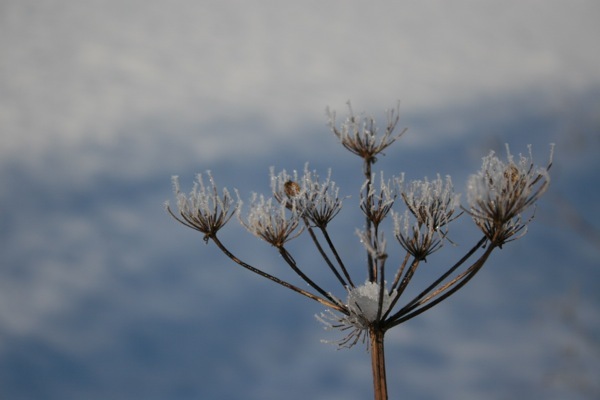 In Summer, the hedgerows and verges are full of the frothy white flowers of Queen Anne’s Lace (I much prefer that name to the alternative Cow Parsley). Pretty as the flowers are, I think that the plant really comes into its own in Autumn and Winter, when the seed heads form dramatic structural shapes against the sky. 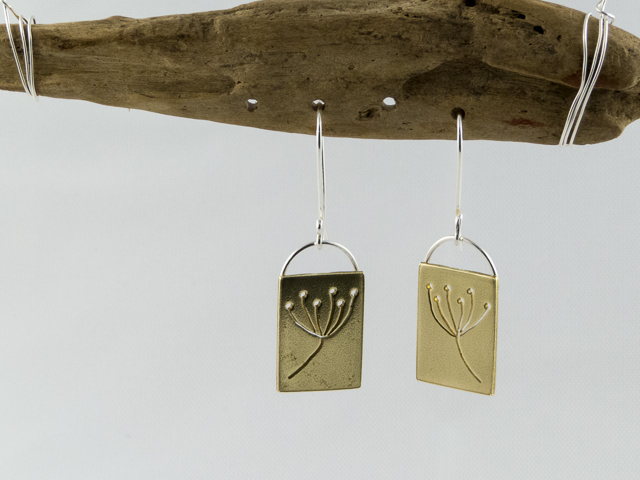 These shapes are captured on my seed heads earrings and pendant. Made from sheet brass with silver ‘hangers’ and earring wires, the seed head design is pierced out using a tiny drill and very fine saw blade.